The traditional process of silk production requires the killing of hundreds of thousands of silk moths in their pupae stage by heating and boiling, most consumers are not aware of this cruelty involved in the production process of normal reeled silk. Silk can also be made in non-violent way, particularly non-mulberry silks. ASAL’s non violent Silk does away with brutal practices in the production of silk without compromising on the quality of output – which actually improves because of fibre purity. Unlike the conventional method where pupae are killed before reeling yarn from the cocoons, in the production of non violent silk the adult moths are allowed to emerge alive from the cocoons and then the silk yarn is spun from the open-ended (eri) cocoons and from pierced tassar and muga cocoons that have been used in breeding cycles or those found in jungles. Yarns are made from spinning the metal needle called Takli. 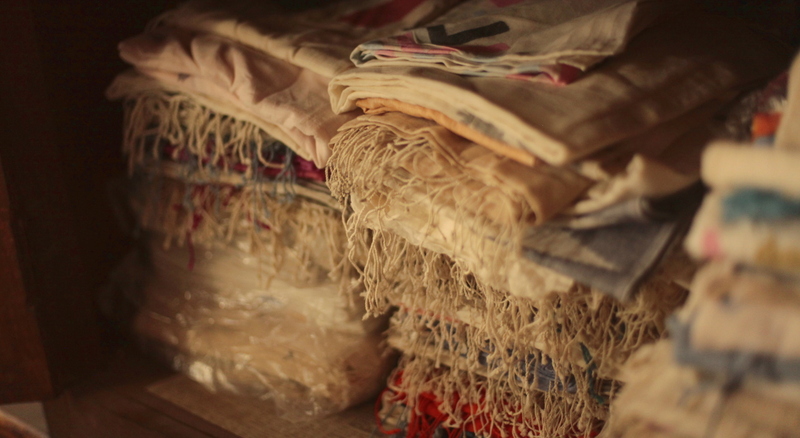 The know-how on the subject is inherited from the original weavers from West Bengal. Indian handspun and hand-woven cloth. The raw materials may be cotton, silk, or wool, which are spun into threads on a spinning wheel called a charkha. Khadi is a versatile fabric, cool in summers and warm in winters. Being a natural form of material, it crumples much faster than other preparations of cotton. In order to improve the look, khadi is often starched to have a stiffer shape. It is widely accepted in fashion circles these days. Mahatma Gandhi began promoting the spinning of khadi for rural self-employment in 1920s India. Khadi at ASAL is available as natural dyed and non-dyed yardage. Handspun and then dyed in natural dyes, these are further enhanced by embroidery or block printing by craftspeople across the country through traditional techniques like bandhej (tie and dye), sanganeri block printing, kantha embroidery etc.